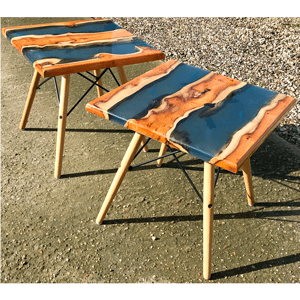 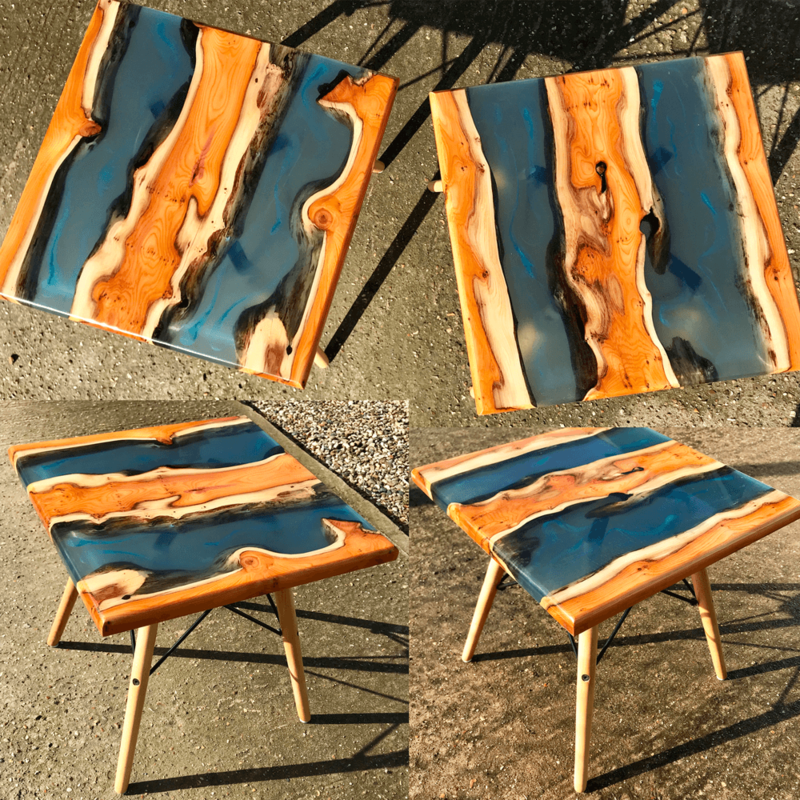 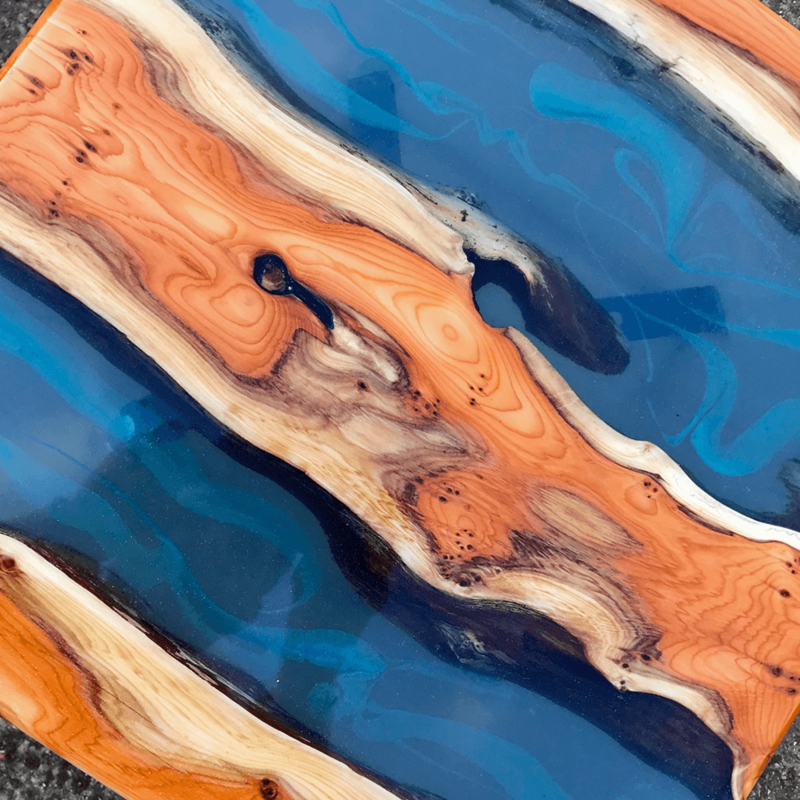 A beautiful pair of stunning river side/lamp tables made with english yew wood slabs and transparent blue-tinted resin. 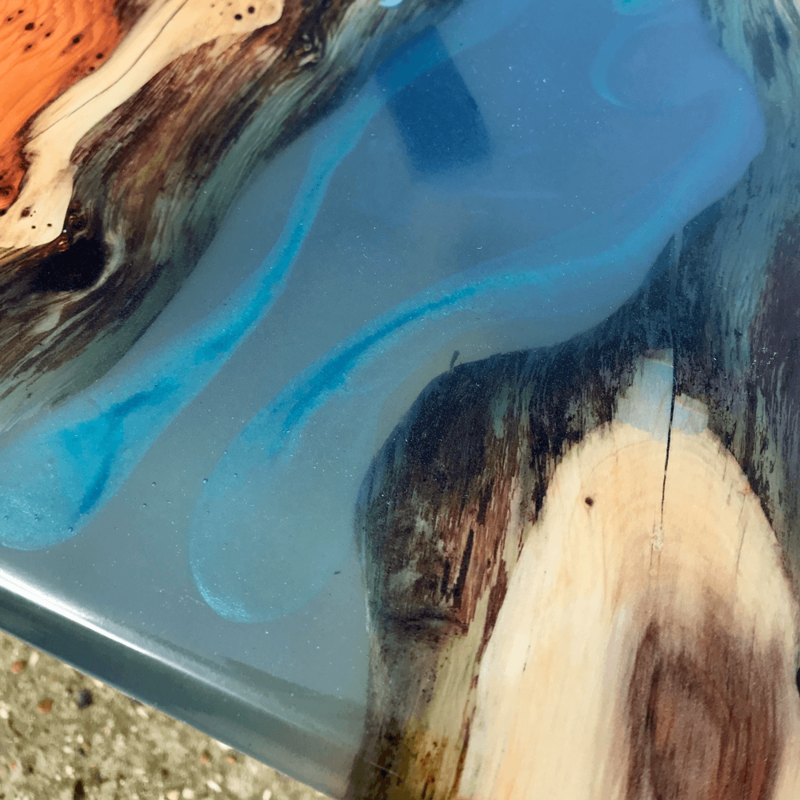 Set deep into the pale blue resin are metaillic blue highlights that really give the feel of the river flow. 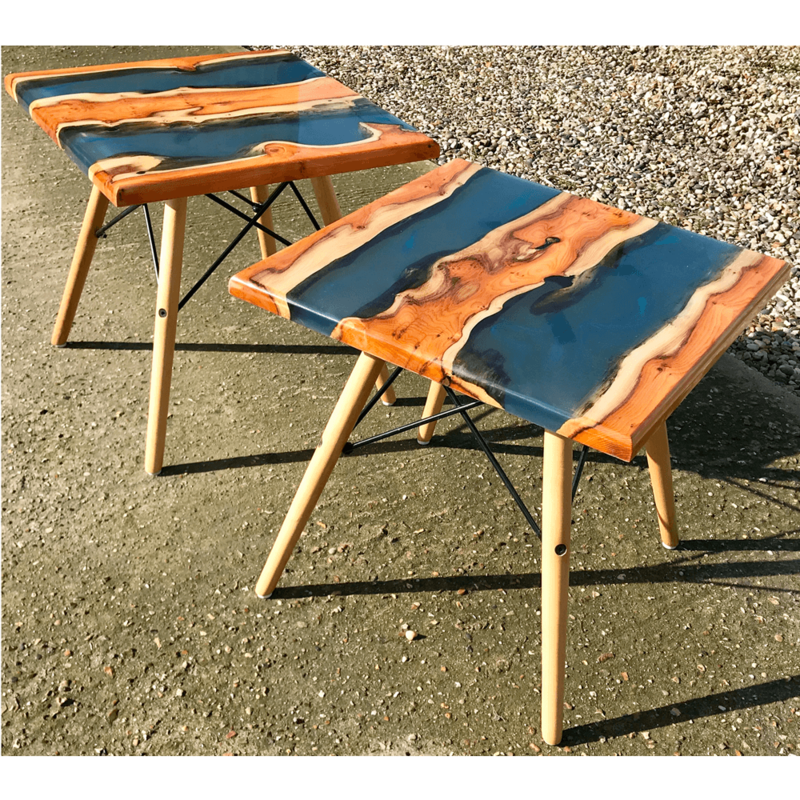 Hand polished to a glass like finish and fitted with an eames style wood & metal base.